Facebook Recently Rolled Out A New Feature Called “Instant Videos“, Which By Default Enables And Download Some Videos For You For Offline Viewing Without Asking You. Actually, Facebook Use Cache Technique To Download Videos For You For Offline Viewing. Facebook App Already Has Save Feature Which Help Users To Save Videos Manually. But “Instant Videos” Or “Auto Video Downloads” Feature Is Different As Videos That Facebook Thinks You Might Be Interesting In Will Automatically Download. Facebook Android And iOS App Already Consume A Lot Of Storage Of Your Device, With This Feature, Your Storage Will Fill More. But You Can Easily Disable This Feature As Facebook Provided An Option To Choose Either To Auto Save Some Videos For Offline Viewing Or Not. Open The Facebook App In Your Device. Go To Facebook Menu Tab(Hamburger Type Icon). 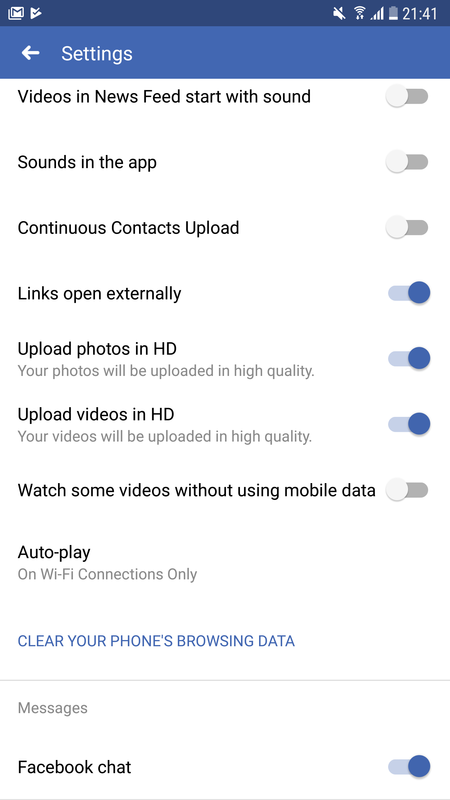 You Will See There Is A Toggle Option Of “Watch Some Videos Without Using Mobile Data”. That’s It. 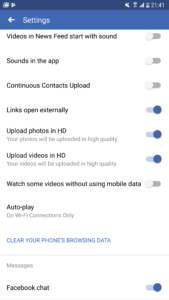 Once This Option Disabled, Facebook Will Stop Auto Video Downloads In-App. This Will No More Affect Your Storage. Facebook Auto Video Downloads Or Instant Video Is Useful As Well. As Facebook Auto Save Personalized Videos For You On Wi-Fi. If You Are On Mobile Data Then This Feature Will Not Work. Facebook Want More Users To Engage With Videos. Mobile Data Costs In Some Areas Are Too High And Users On Mobile Data Does Not Like To Play Videos. That’s Why Facebook Rolled Out This Feature And It Works When You Are On Wi-Fi. You Will Be Able To Watch Downloaded Videos Without Using Mobile Data. Each Video With Bolt Sign Will Play Offline And You Don’t Need Mobile Data i.e. When You Are Travelling Or Internet Connection Is Not So Good.